Posted on February 11, 2019 February 11, 2019 by Tunes in T.O. Kicking off the week is UK buzz band Bad Sounds. The group released their debut album Get Better this past autumn and are making their first trip to North America, with a stop at this year’s South by Southwest Festival. They’ll also be opening for BROODS, including their stop at The Phoenix on April 12th. Tickets are $22 plus fees, and can be purchased at Rotate/Soundscapes or at Ticketweb. 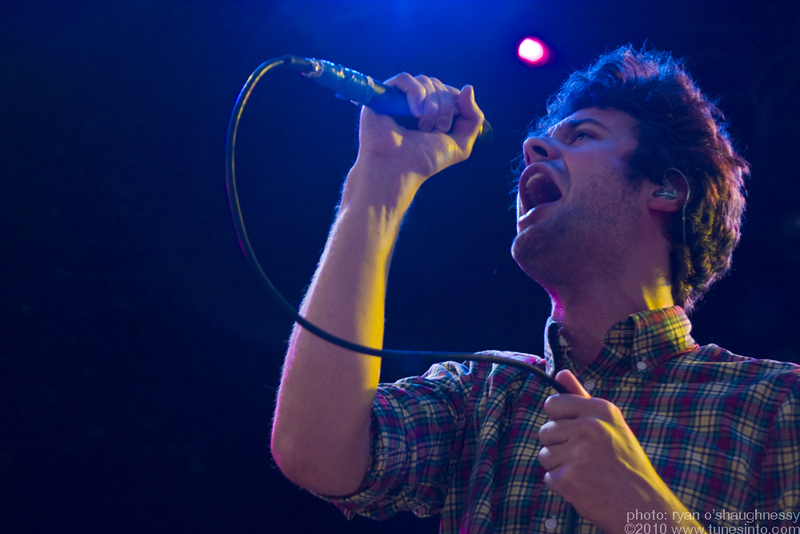 Photo of Passion Pit, opening for Metric @ The Molson Amphitheatre. Originally shot for Tunes in T.O. v1. It’s hard to believe that it’s been 10 years since Passion Pit released their debut album Manners, but the album came out in 2009, and here we are. To celebrate, the band is doing a ten year anniversary tour, which includes a stop at The Danforth Music Hall. Tickets are $45 plus fees and can be purchased at Rotate/Soundscapes or Ticketmaster. Last week, Charly Bliss announced they’ll be releasing their sophomore album Young Enough, via Barsuk Records, on May 10th. With the announcement has also come a short tour, but alas no stops in Toronto. With most of the summer, and the autumn still open I think it’s safe to assume an announcement in the not so distant future. In the meantime, you can pre-order the album HERE. Though it’s a bummer that Field Trip has been cancelled, and the summer festival outlook for Toronto looks quite bleak, the one added side effect of this is that it will allow us to get to see some bands play more intimate gigs than we’ve gotten to over the last decade. The first example of such is Broken Social Scene, who have played exclusively larger venue/festival shows in Toronto (aside from that random Lotto Max club show in 2016 at The Phoenix). All of that changes on April 24th & 25th, when the band plays a two-night stand at The Danforth Music Hall. Advance online tickets for night one have sold out, but you can buy tickets for the 25th HERE, or go to Rotate/Soundscapes to get tickets for either night (as of Sunday, Feb. 10th). They’ll be performing in support of their new Let’s Try the After Vol. 1 EP, which will be released this Friday, Feb. 15th, via Arts and Crafts. Fresh off of their own two-night stand at The Danforth, Blood Orange makes their return to Toronto on May 26th, opening for Florence and The Machine. They’ll be playing Budweiser Stage, with tickets starting at $49 plus fees for lawn tickets. You can find those online HERE. 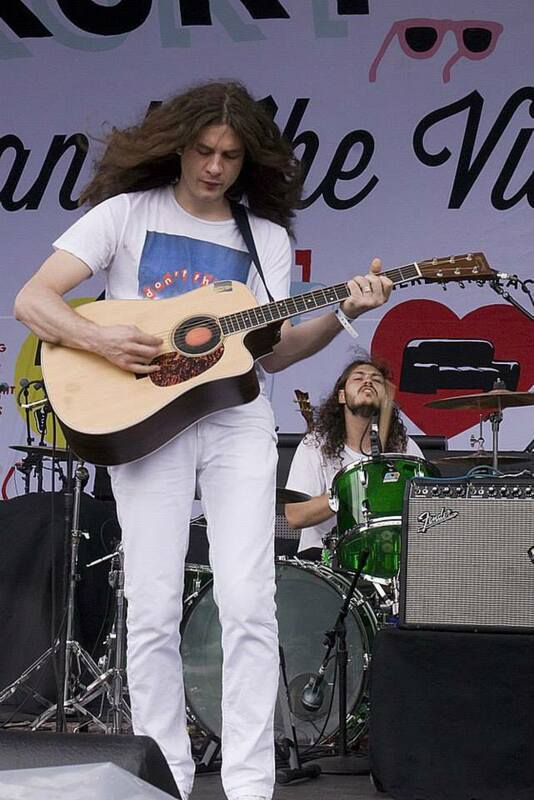 Since we’re on the topic of two night stands at The Danforth, I’d be remissed to leave out this weekend’s fantastic double bill of Kurt Vile & local freak-folkers The Sadies. Vile is touring in support of his latest effort Bottle It In, and will be playing two sold out nights Saturday and Sunday. Be sure to keep your eyes on the Collective Concerts twitter account to see if there will be any tickets available at the door, because this promises to be a fantastic evening of music. This week’s cover is Kyle Craft‘s cover of “Every Time the Sun Comes Up” by Sharon Van Etten. The song is from his album Girl Crazy, which is a full cover album of songs originally recorded by female artists. It also features songs by TLC, Blondie, St. Vincent & Cher, to name a few. You can find it on Spotify, or listen to the full album HERE. Kyle has no upcoming tour dates, but you might be aware that Sharon Van Etten is playing The Danforth Music Hall TONIGHT! If you didn’t listen to my previous posts, I am sorry to inform you that this one has sold out. If you want to find a way to go, same advice I gave for the KV show applies. Los Angeles duo Foxygen have announced they’ll be releasing their new album Seeing Other People on April 26th, via Jagjaguwar. No tour has been announced as of yet, but the new album can be pre-ordered HERE. Jessica Pratt‘s new album Quiet Signs was released on Friday and has been receiving generally positive response. Based on the early reviews, you might want to be sure to get tickets for her show at The Garrison soon, because at $15 this one is likely to sell out. Yesterday marked the fifteenth anniversary of the release of Kanye West‘s debut album The College Dropout. It’s crazy to think that, as it feels like he’s been around forever, but regardless of what you might think of Ye now, you’d be hard pressed to find someone at the time that wasn’t excited about the new direction that he was taking hip-hop in. Make no mistake, with the influence that Kanye has had on the sound of hip-hop since its release, this album is something that should be celebrated and remembered. 2018 was a huge year for Hamilton’s Arkells. They played a massive hometown show at Tim Horton’s Field in the summer, and followed that up with the release of their album Rally Cry in October. 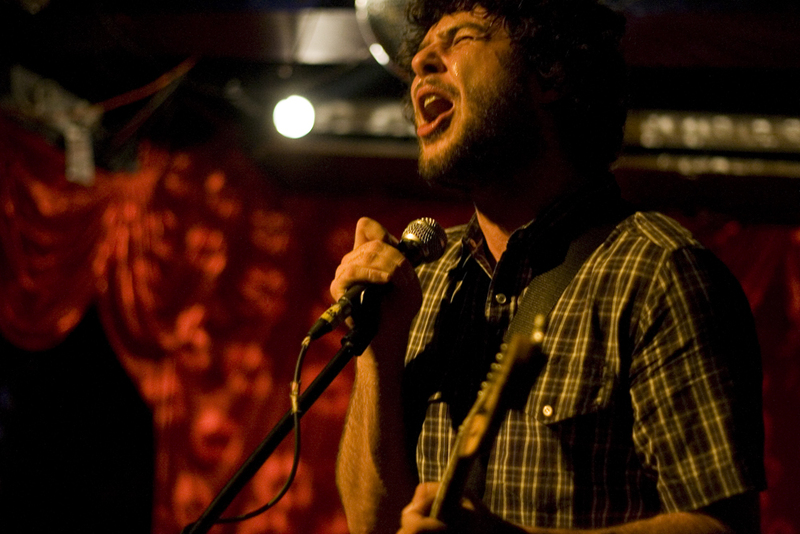 Coinciding with the album release, they announced a cross-Canada tour for this year, which features a stop at the biggest venue they’ve yet to play in Toronto (much bigger than the show I shot 11 years ago from the photo below). They’ll be headlining a show at Scotiabank Arena this Saturday, with Lord Huron opening. There are still tickets available, and they can be purchased HERE. This week, The Rolling Stones made some news lasst week when a couple of giant Stones logos popped up around the city (you know, the ones with the lips and the tongue), with the hashtag #stonesnofilter and the date 06/29/2019 written below them. “Stones No Filter” is the name of their current tour, and just this morning they announced they will be playing a show at Burl’s Creek. Tickets go on sale this FRIDAY at Ticketmaster. No info on pricing as of yet, but the time is listed as 2:00pm-11:00pm, so this could be quite the big festival event. Stay tuned for more info as it comes. In my Week 3 Playlist, I mentioned that Black Belt Eagle Scout would be playing a show at The Horseshoe Tavern with Julia Jacklin on April 28th. I bring this up because Julia’s new album Crushing will be released on February 22, via Polyvinyl. Grab your tickets for $12 plus fees at Rotate/Soundscapes or online HERE. Thursday is Valentine’s Day, so I’m sending out Richard Ashcroft‘s “A Song for the Lovers” out to everyone celebrating this year. If you have yet to make plans for V-Day, the good news is that there is no shortage of things to do in the city (see below). However, if you were hoping to take your loved one to see Men I Trust at Lee’s Palace, the bad news is that it looks like you’re going to have to hit the second-hand market, because advanced tickets have sold out. Ending off this week is Dinosaur Jr.‘s “Over Your Shoulder” because it’s the final song on one of my favourite albums of theirs, so why not? Also, if it can randomly show up on the Japanese billboard charts after 25 years for no reason, then that’s good enough for me. Dinosaur Jr. @ Lee’s Palace. 2012. Shot for QRO Magazine. Click photo to see more!